The PDF will be delivered by separate email when we process the order. The PDF is a downloadable and printable PDF file for your licensed use only. You will need Adobe Reader version 10 or later. You require the core Bloody Big Battles! Rules to use this scenario book. conflicts accessible to wargamers. 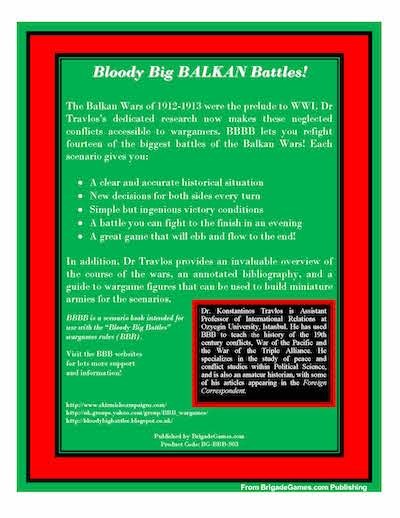 BBBB lets you refight fourteen of the biggest battles of the Balkan Wars! • A great game that will ebb and flow to the end! In addition, Dr Travlos provides an invaluable overview of the course of the wars, an annotated bibliography, and a guide to wargame figures that can be used to build miniature armies for the scenarios. 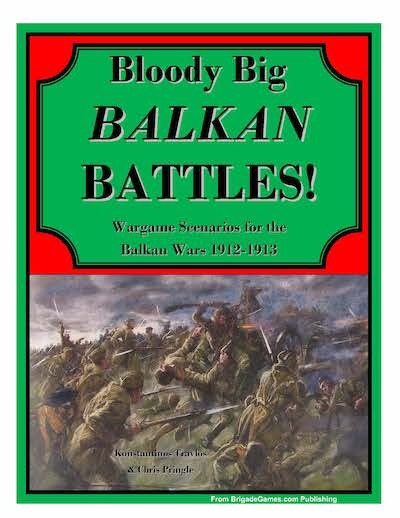 use with the “Bloody Big Battles” wargames rules (BBB).